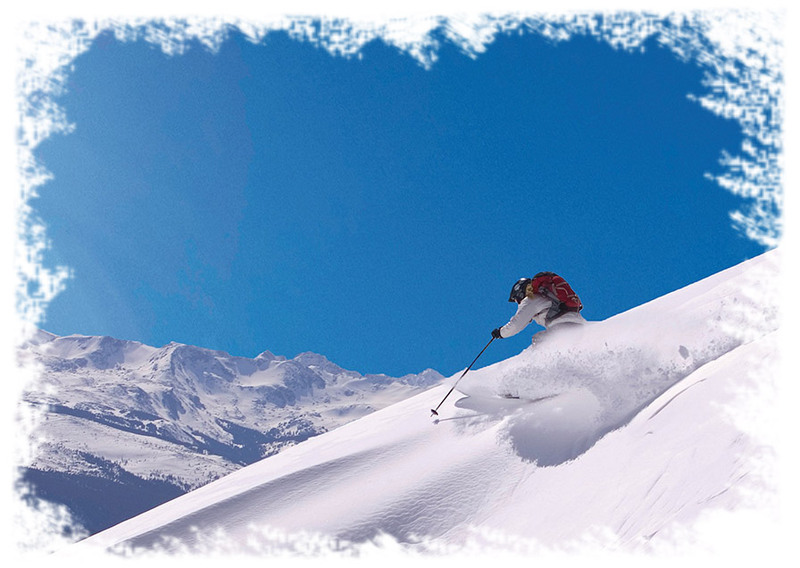 Pure, authentic, down-to-earth skiing. That’s what we’re all about at Cooper. Our mountain offers you 41 trails served by 4 lifts, spanning 400 lift-served acres. And if you’re in the mood for an even bigger adventure, our snowcat skiing tours on Chicago Ridge deliver you long, epic runs on 2,600 acres of wide-open powder bowls and glades. 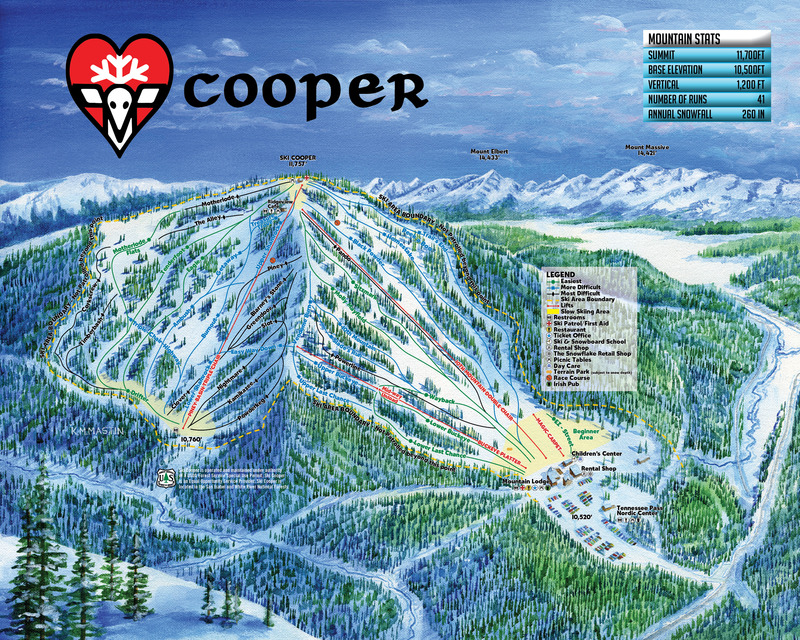 What makes the skiing at Cooper better than anywhere else? Our snow! Mother Nature graces us with an average of about 260″ of natural fluffy stuff each season, and our high base elevation (10,500′) means that our snow stays dry and light. And we’re here to supplement Mother Nature’s efforts as well, with our unique grooming philosophy. Unlike our neighbors, Cooper doesn’t believe in over-grooming trails, which results in hardpack conditions. Instead, we rotate our grooming terrain, which means you always get the softest snow surface possible, while still providing you with plenty of groomed variety every day. Chicago Ridge Snowcat Tours is operated by Ski Cooper on 2600 acres of open powder bowls, glades and timber in the San Isabel and White River National Forests. This is an area roughly the size of Vail’s Back Bowls, with similar length, pitch and vertical. Guests soak in spectacular scenery as we climb along the Continental Divide with dozens of Colorado’s highest peaks in our view – a beauty scene unlike any we’ve seen elsewhere. We’ll take you as high as 12,600 feet. The slopes vary from 3,000 to 10,000 feet in length with vertical drops up to 2,000 feet per run. Order lift tickets online and save! 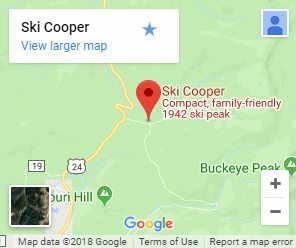 Cooper's lift ticket prices are affordable for the whole family, so don't waste time! 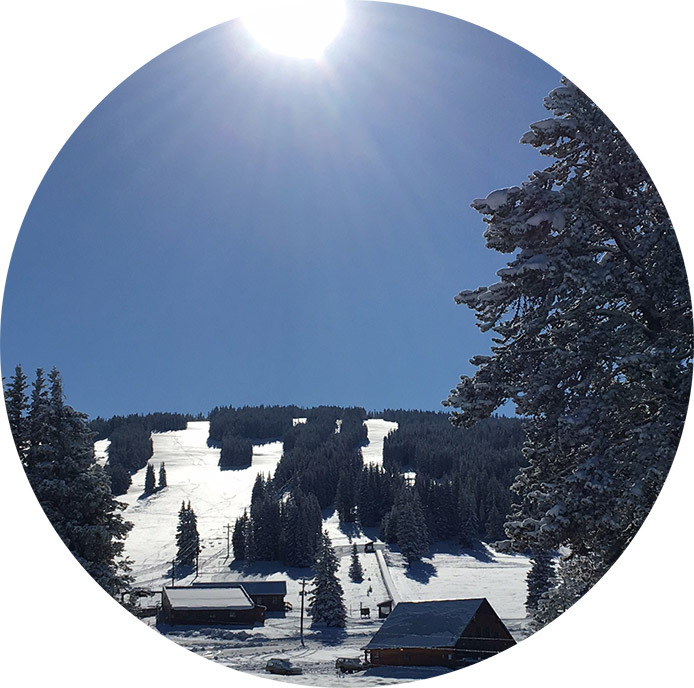 Book your affordable Colorado skiing adventure today, and discover why Cooper is truly The Heart of Skiing in the Heart of the Rockies!